I’m hoping this project will be a nice trip down memory lane through my childhood in Pennsylvania to then growing up in the South, to traveling around India and finally to all of the great Asian food I was exposed to living in LA. The difference is this time I will be making the delicious pickled vegetables. Pickles are a nice way to break up the monotony of winter and liven the taste buds a bit. My exposure to pickled vegetables started as a kid where every New Year’s Day we would be subjected to eating sauerkraut, a leftover German tradition on my Mom’s side of the family. I never liked the taste of it but my grandmother sweetened the deal by hiding a new penny in it to bring good luck to whoever dished it onto their plate. (My sister, Whitney was always the one to fish around for it.) We’ve resorted to the sauerkraut in jars throughout most of my life, but I’d like to learn to make it fresh. My grandparents also always had jars of yummy dill pickles around that a friend of theirs would drop by with, the kind of thing that neighbors used to do for each other. I’ve gotten the recipe and am hoping to keep that tradition going. My local friends will be getting lots of benefits from this project throughout the year! In the South, the predominant pickled vegetable I loved was pickled okra, especially the spicier, garlicky kind. I’ll be cheating a bit as I’ll be working in LA this week and will have a lot better produce at my disposal than what I can find in Boulder this time of year. This will be the first time I’ll be bringing produce back in my suitcase vs new clothes! Aside from the traditional American pickled vegetables, some that I’ve enjoyed the most have been those I’ve encountered through travels and living in LA. 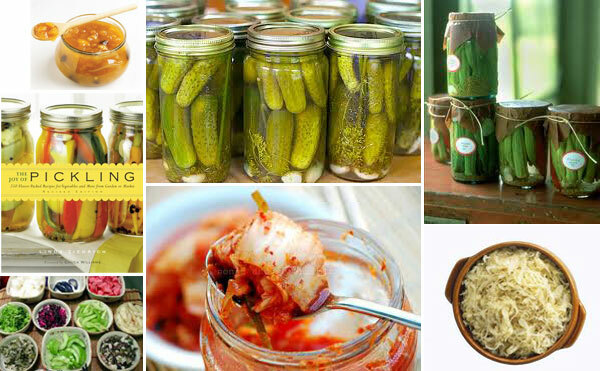 While Indian pickles and chutneys aren’t my favorite, they are still worth a try. I’ll be tasting them but not making them. Korean kimchi is something I could literally eat everyday. Japanese Tsukemono is not only delicious but gets the prize for being the most beautiful and colorful as well. I will be taking full advantage of the amazing Asian grocery stores in LA this week. While I’m not picking the best time of year to be doing this, who cares, because that’s the beauty of this project – I’m my own boss! My sister-in-law introduced me to a great book which I’ll be consulting called The Joy of Pickling (not the most original title but hopefully the sentiment holds true). If anyone has any great family recipes, please pass them along. I would love to try them out! The plan is to taste at some of LA’s great restaurants this week, gather materials there and then start pickling and canning when I’m back in Boulder. David Chang’s Momofuku cookbook has a lot of pickle recipes. that might be worth checking out. thanks Teddy! i’ve been meaning to get that cookbook for awhile now. You are currently reading Pickles! a tasty winter treat at 52 To Do.